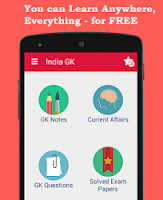 25, 26 January 2018 Current Affairs MCQs, Quiz, Questions: Current Affairs for January 2018, Daily Multiple Choice Questions (MCQs) for India GK, World GK and current affairs with Collection of daily objective type Question by www.Indiagk.net based on General Knowledge (GK) and General Science (GS) Questions for UPSC, State PSC, SSC, Police exam, Railway exam, SBI, Bank PO, IBPC, SSC, LDC, UDC, Army, Airforce, Navy, Coast Guard, Bank Clerk, TET and all entrance examination with current affairs News, Multiple Choice Questions (MCQs) available on Website www.IndiaGK.net and Android Apps with daily updates:. Which city is hosting the 2018 India-ASEAN commemorative summit? India Ranks ---- on Global Talent Competitiveness Index 2018? India Ranks ---- in Environmental Performance Index 2017? Which city becomes 1st Indian Metro to get a Floating Market? Who among following was awarded Ashok Chakra 2018? Who among following was awarded Kirti Chakra 2018? Who was Chief Guest of Republic Day 2018?